While the ability to open and switch between multiple documents in Photoshop can be a major lifesaver, sometimes it’s too much of a good thing. If you keep many images open at the same time, it gets increasingly difficult to identify, much less locate them, in the toolbar. When there’s an overflow, certain images get hidden from view. Doco, a new Photoshop extension from Creative Do, aims to solve the problem by installing a discrete Documents panel into the program. 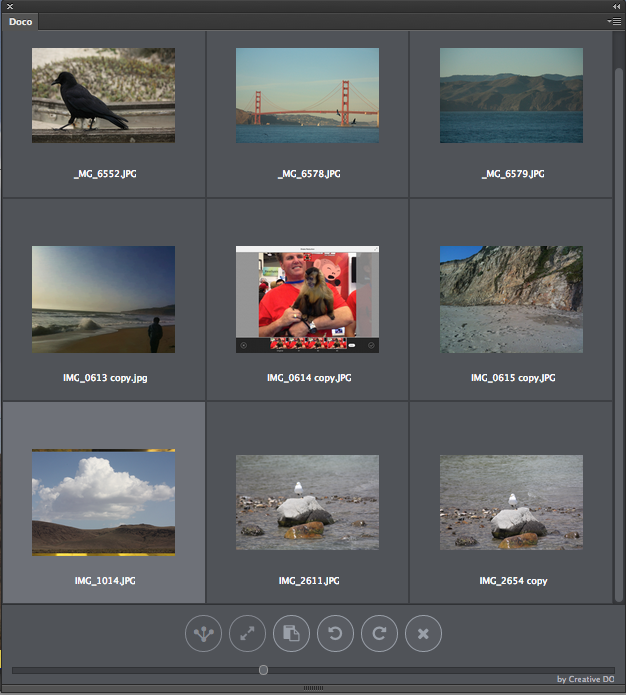 By letting you view and perform some editing functions with thumbnails of your open images, you can accomplish tasks such as copying layers between documents and rotating or and resizing multiple images, in addition to simply locating them. With lots of images open at the same time, confusion will prevail. The Doco panel lets you see a thumbnail of each image you have open. The panel’s action buttons include: Close documents, Rotate documents, Paste on multiple documents, Match image size and Merge selected documents. You can resize the panel as well as adjust the thumbnail size with the built-in slider. 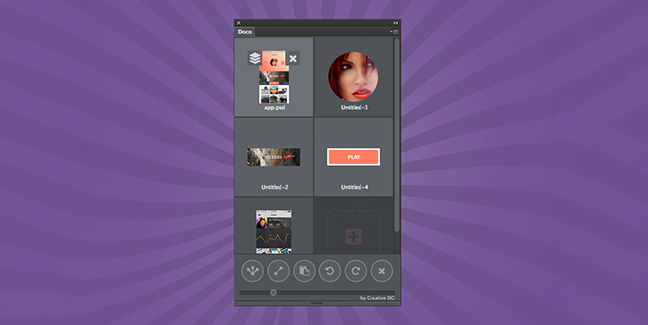 Buttons at the bottom of the panel let you perform editing and compositing functions. 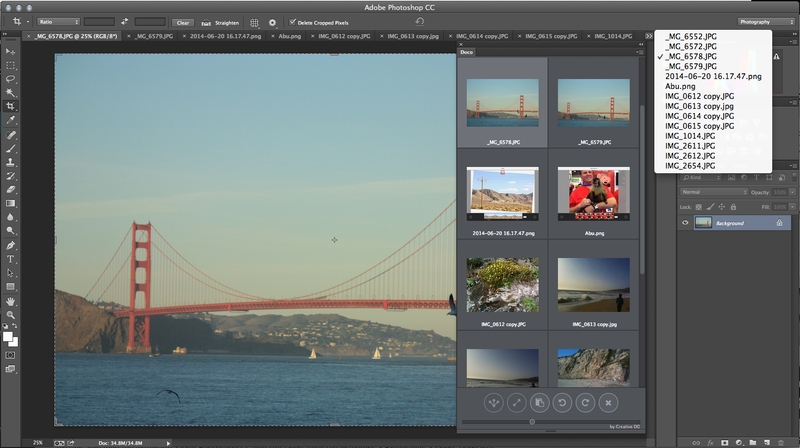 Access Doco from the Extension Manager in the Creative Cloud desktop app. Then download, extract and load the extension. When you launch Photoshop, you can run Doco from Windows > Extensions > Doco. Additional instructions are available on the Creative Do site. Doco costs $20 for a single license and $149 for a 10-seat license. It’s available for Adobe Photoshop CC and Adobe Photoshop CC 2014 for Mac and Windows.